If you're like me, you think of a flowerpot sitting on top of flagstone, don't you? 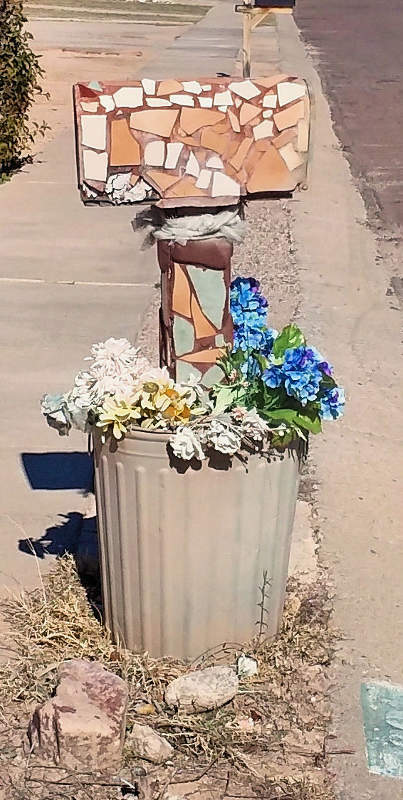 David Aber found this mailbox that turns the idea upside-down: a mailbox and post, covered partly in flagstone, sitting on top of a pot of flowers. David said that he didn't photograph the other side because it didn't have any flagstone. The photo is from January 31, 2017. Thanks for the puzzle, Dave!